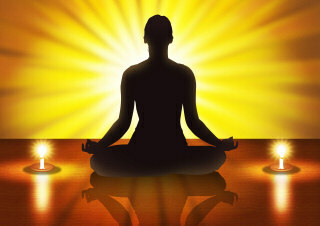 Pattarumadom offers Yoga, Meditation & Reiki courses and trainings. Yoga aims at the integration of personality at the levels of physique, emotions, and spirit. Yoga and physical education are complementary disciplines. Physical education is defined as “an integral part of the educational process which enhances and harmonizes the physical, intellectual, social and emotional aspects of an individual’s personality, chiefly through directed physical activity.’’ Yoga has much to contribute in the area of physical education and sports. A lot of athletes have tremendous stamina, but, in most cases, their minds don’t have the same strength. Even simple problems can make them lose their balance, which may then lead to a full aggressive response. For such people, yoga offers relief and yogic practices release tensions from the body. We atPattarumadom Ayurveda, give more importance for Yoga and Meditation to get maximum results from the treatments. Meditation is a state of thoughtless awareness. It is a state of profound, deep peace that occurs when the mind is calm and silent, yet completely alert. This is just the beginning of an inner transformation that takes us to a higher level of awareness. This enables us to fulfil our true human potential. The problem, of course, is how to achieve this state. It is not an act of doing – it is a state of awareness. We either in this state or we are not, regardless of what we are doing in life. Truly, a man can be in meditation while doing his day’s labours as another man can be very far from meditation while sitting in a lotus posture on the top of a mountain. Reiki is a special form of Energy Healing, rediscovered and promoted by Sensei Mikao Usui of Gifu, a buddhist monk in Japan. The word Rei means 'Universal' and the word KI - 'Life Force'. In Sanskrit it's known as Prana, in Chinese as Chi. The meaning of Reiki is therefore: 'Universal Life Force '. Reiki is a simple, natural and safe method of spiritual healing and self-improvement. Everyone can use it. It has been effective in helping virtually every known illness and malady and always creates a beneficial effect. It also works in conjunction with all other medical or therapeutic techniques to relieve side effects and promote recovery.